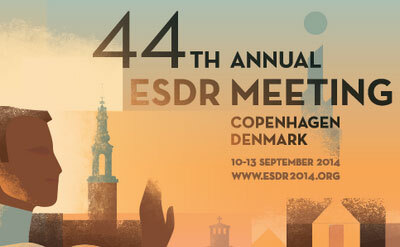 Genoskin will attend the 44th annual European Society for Dermatological Research meeting in Copenhagen, Denmark. The congress will take place from September 10 to September 13, 2014. 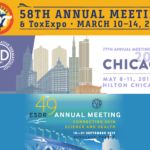 The European Society for Dermatological Research (ESDR) aims to disseminate knowledge and facilitate exchange of information relevant to investigative dermatology between clinicians and scientists worldwide. 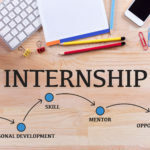 The ESDR looks into the future and aims to increase collaboration and strengthen education initiatives around drug discovery and translational medicine. 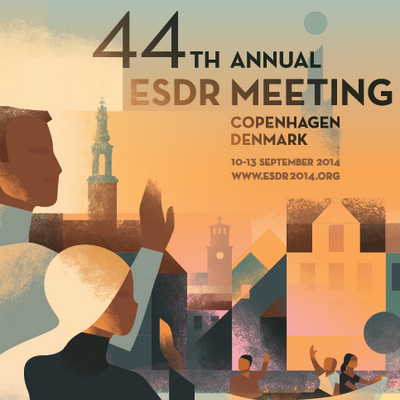 Over one thousand delegates from academic, clinical and industry are expected to attend the ESDR meeting in 2014. Please, visit our poster named “Characterization of NativeSkin®, a standardized ex vivo skin system that retains major functions of human skin”. 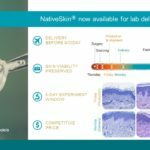 To efficiently keep ex vivo the main functions of human skin, we have developed a newly skin model, called NativeSkin®. This ready to use model consists of a full-thickness round skin biopsy embedded in a solid and nourishing matrix. The system is mounted into cell culture inserts, loaded in multi-wells companion plates with lid. NativeSkin® could be cultured up to 7 days with a defined culture medium. Furthermore, a flat ring of silicon is firmly fixed at the periphery of the skin surface to delimit a constant working area dedicated to topical application of formulations. This hermetic seal prevents any unwanted lateral diffusion of formulations. The major advantage of this new ex vivo skin model is that the proprietary matrix, similarly as a sponge, allows the dermal compartment to be extensively and constantly nourished by the culture medium. We demonstrated on NativeSkin® produced from at least 10 different donors, that cell viability reproducibly decreases from 20 to 40 percent after 7 days of ex vivo culture. Proliferative cells can still be found in the basal epidermal layer. Apoptosis appears rapidly in endothelial cells, probably as a consequence of the absence of blood stream. Nevertheless, only few apoptotic cells, and no necrotic cells, are present in the epidermis after 7 days of culture. Epidermal markers, including Keratin-14 and 10, Involucrin, Loricrin and Filaggrin are normally expressed. Similarly, proteins of the dermoepidermal junction, as well as dermal markers, are normally present after 7 days of ex vivo culture. Furthermore, some Langerhans cells persist in the epidermis, resident T cells are clearly found around of blood vessels in the dermis, and melanocytes are still able to produce melanin, even after several days of culture. We have also validated that NativeSkin® models reproduce hallmark features found in human skin when treated with drugs such as retinoids. 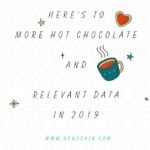 In conclusion, thanks to its fully human origin and native tissular composition, NativeSkin® models may represent a bridge between in vitro and clinical studies.